"Let the commission have its say." 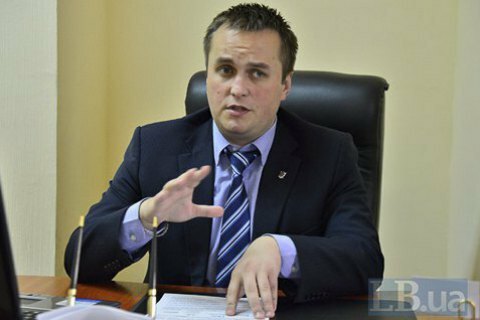 The disciplinary commission is yet to provide the head of the Special Anticorruption Prosecutor's Office (SAPO), Nazar Kholodnytskyy, with the recordings of his conversations for review, which were filed together with a complaint against him. He was commenting to LB.ua on Prosecutor-General Yuriy Lutsenko's statement about his possible resignation in two weeks. "This is yet another statement. I am waiting for a meeting of the commission to provide my explanations, including orally. It's been a week since I received a written complaint. But the commission has not yet provided me with the disks, which supplemented this complaint. So that I could listen to them and understand: so what am I being accused of? And not only of what is written there," he said. Kholodnytskyy does not rule out that the process is being delayed for certain purposes. In general, he is confident that many are interested in his resignation. "As for the statements of the prosecutor-general and especially Sytnyk (Artem Sytnyk is the director of the National Anticorruption Bureau of Ukraine - Ed. ), everyone really wants me to leave. Why is it happening? No-one wants an independent prosecutor. Everybody wants to have a puppet in order to control their areas. So, our institution does everything right. I'm waiting for the meeting and the decision of the commission. Let the commission have its say. Publicly. Then it will be clear which members vote 'for' and which 'against'. This, among other things, will be an indicator of the independence of the commission. In the meantime, everyone is waiting," he said.